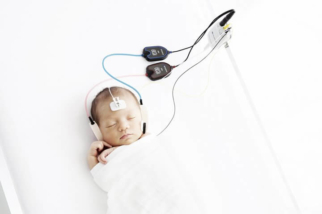 The importance of Newborn Hearing Screening! potential and how essential newborn hearing screening is to everyone. Most babies are born with normal hearing and experience the beauty of sound from the beginning —but 1-3 out of 1000 are born with hearing loss. Those children cannot properly hear their parents speak, sing or read to them which delays speech and language learning. Newborn hearing screening identifies babies at risk for hearing loss so they can be evaluated and treated early. 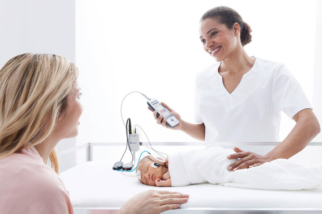 The hearing screening is performed in the hospital by a nurse or outside of the hospital by a health professional. Many countries have implemented Universal Newborn Hearing Screening so that every baby has access to hearing screening soon after birth. What does it mean if a Baby does not PASS the Newborn Hearing Screening? When a baby does not Pass the hearing screening it means that more testing is needed. The baby could have hearing loss and it is important to follow-up. The ear canal was blocked with fluid or vernix (white coating on the skin) which clears in a few days. The baby was too active or awake during the screening. Screeners try to control the test conditions to get a reliable test. Waiting to screen until the baby is at least 12 hours old can avoid issues with fluid in the ear canal. It is best to screen when the baby is sleeping quietly after being fed. Also screeners should try to find a quiet room for testing. When a baby does not pass the first screening, many Newborn Hearing Screening programs will perform a second screening before sending the baby on for more in depth testing. What happens after failing the Newborn Hearing Screening test several times? If a newborn fails a hearing screening repeatedly, follow-up evaluations should be performed. Diagnostic tests are usually performed by audiologists or ENT doctors in the community. The evaluation will confirm if hearing loss is present and determine the type and severity of the hearing loss. The baby may also be referred for further medical evaluations if a hearing loss is confirmed. Understanding the cause, type and severity of the hearing loss in important for defining a treatment plan. For a baby with permanent hearing loss, some intervention options include Hearing aids, Cochlear implants or early intervention (educational support, speech & language therapy, communication methods). A child born with hearing loss who receives intervention services by the age of 6 months often develops normal speech and language skills. What can I do if there is no NHS program provided in my country/hospital? Universal newborn hearing screening is being implemented in more countries around the world every year, but still many countries do not have programs in place. In some areas, the resources for infant hearing screening and the follow-up services for diagnostic testing are very limited or do not exist locally. If universal newborn hearing screening is not available in your area/hospital or you have concerns that your child does not hear properly, your best resource for information is likely to be one of these professionals. The sense of hearing is the foundation for communication and promotes social interaction. Hearing is the key to learning spoken language and is important for the cognitive development of children. Hearing loss is a barrier to education and socialization especially when it goes undetected and untreated. A baby born with hearing loss that is not detected and treated early will not achieve the typical developmental milestones expected in the first months and years of their life. Here is a look at typical developmental milestones and by clicking on the “+” button, you can see how unidentified hearing loss will affect the progress toward achieving them. 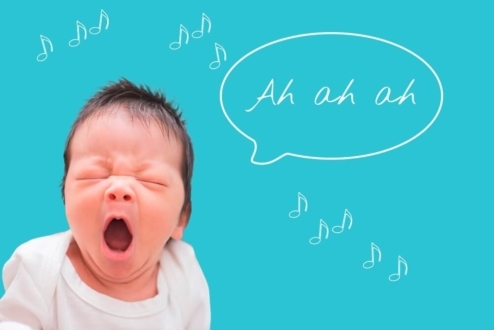 Your voice can soothe and quiet fussy babies and they react or waken to loud sounds. During feeding, babies will change their sucking pattern in response to sound. Babies with unidentified hearing loss may still react to loud sounds, depending on the level of hearing loss. A baby with significant hearing loss will probably not be soothed by voice or react to quieter sounds unless there are accompanying visual or tactile cues also provided. Without newborn hearing screening, babies with hearing loss are typically not identified during this time! During this period, babies react to changes in the tone of your voice and show interest in toys with sounds or music. They babble using different sounds and you can notice vocal changes. Babies with unidentified hearing loss will not display these behaviors or may only do so when the voice, music or sounds are very loud or if there is some accompanying visual aspect to the experience. With newborn hearing screening, the goal is that a baby born with hearing loss has been detected, diagnosed and intervention has been initiated by 6 months of age. 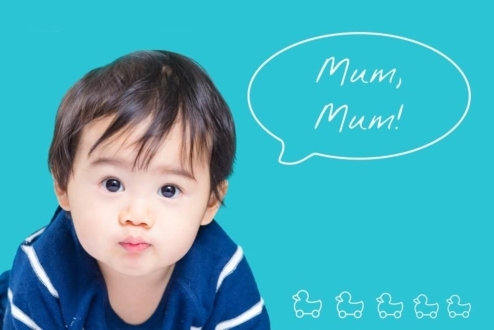 Now, babies start to look in the direction of a sound or voice and actively listen & imitate speech sounds. By 12 months, they may can use 1-2words. 7-12 month old babies with unidentified hearing loss will not pay attention to or track the direction of a sound unless there are also visual cues provided at the same time. They will not show understanding of words or progress in imitation of speech sounds. At one year, they will not have any vocabulary words. Close family members may begin to notice differences in the baby’s development compared to other babies of this age. When turning one, babies follow simple commands, listen to stories & songs or point to pictures when named. Their single-word vocabulary grows and they start to put two words together. During this period, babies with unidentified hearing loss will significantly fall behind in achieving these milestones. 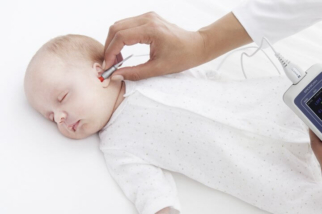 Without newborn hearing screening history shows that even at this age toddlers with hearing loss are not identified and do not receive intervention. 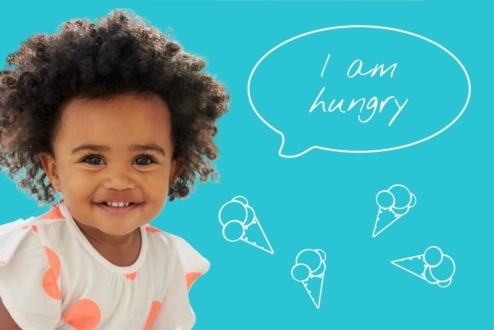 At 2 to 3 years, they mainly use two or three word phrases and family members can understand their speech. They will also ask for objects by name. Without newborn hearing screening, this is the average age range at which hearing loss is finally identified based on parents’ concerns about the child’s development. 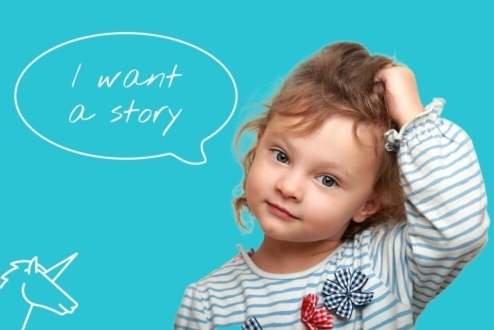 By this time a critical period for brain development for language and speech learning has passed – making it more challenging for a child to develop language and speech skills. By now, children listen to the TV at the same volume as their family members and respond when called from another room. They answer question and talk about experiences using 3-4 word sentences. During this period, children with unidentified hearing loss will continue to significantly fall behind in achieving these milestones. Without newborn hearing screening, some children are not identified until this age. The later a child’s hearing loss is identified and treated, the more difficult it will be for her/him to succeed in an educational setting with their normal-hearing peers. With newborn hearing screening & providing intervention very early in life, children born with hearing loss can develop speech and language skills that are appropriate for their age and can start their formal education in the same classroom as their normal hearing peers. The two methods considered suitable for hearing screening are OAE (otoacoustic emissions) and AABR (automated auditory brainstem response). OAE testing is quick and inexpensive with regard to the equipment and disposables costs. AABR testing takes a little more time to perform and the equipment and disposables are more expensive. AABR typically has better test specificity, meaning that fewer babies with normal hearing will be referred for more tests. 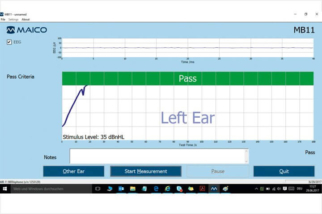 AABR detects hearing problems caused by conditions in the auditory nervous system whereas OAE only detects cochlear hearing loss. AABR is particularly recommended for babies whose birth history puts them at higher risk for hearing loss. 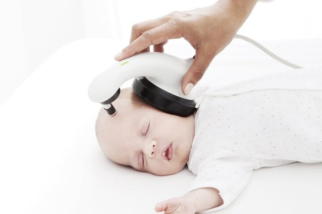 A probe with a tiny earphone and microphone is placed into the baby’s ear. The earphone plays sounds which cause an echo in the cochlea. The microphone detects the echo and the system determines whether the response is normal. 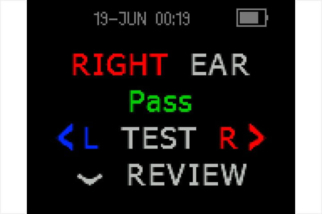 The result is presented as „pass“ or „refer“. Electrode gel is massaged on areas of the baby’s head. Sounds are played through an earphone. Electrodes built into the device measure the brain’s response and the system assesses it. Disposable electrodes and ear couplers are placed on the baby’s head. Sounds are played through earphones. The electrodes measure the brain’s response and the system assesses it. MAICO Diagnostics may not offer the products, services, or features displayed on this Website in all countries. Hearing Screening Associates is a full-service company that offers an all-inclusive service for screening the hearing of newborn infants. The concept covers everything from personnel and testing to equipment to reporting and billing. 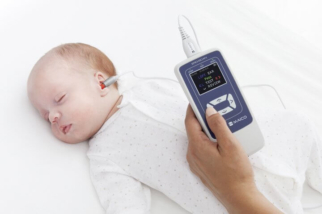 We are dedicated Newborn Hearing Screening specialists, and we are owned by one of the biggest hearing health care companies in the world, which has been in the business since 1923. 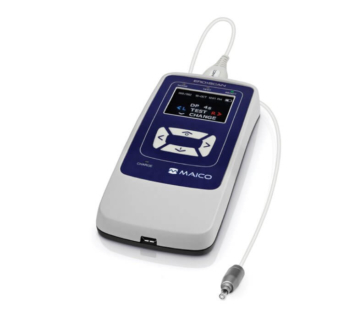 Are you interested in MAICO Newborn Hearing Screening products? Leave your data and your message and we will get in touch with you! I have read the data privacy declaration and hereby consent to the storage and use of my personal data. Premature infants react positively (lower heart rate, respiratory rate and activity) if they are provided with recorded speech or lullabies. 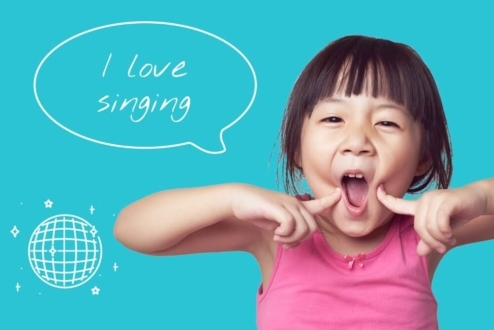 ABR-based hearing screening with the MB 11 BERAphone has confirmed that the children under study have no hearing loss. One to three babies in every 1000 are born with a permanent hearing loss in one or both ears. Most of these babies are born into families with no history of hearing loss. It all began with a vision – Leland A. Watson was the son of an ear physician and a hearing instrument salesman in Minneapolis who recognized early on that the devices he sold to clinicians like his father were complicated to use. 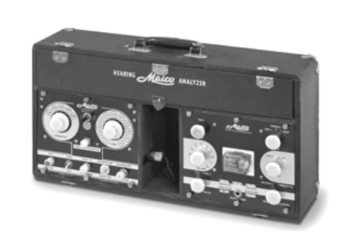 He established the Medical Acoustics Instruments Company in 1937 with the mission to design and manufacture hearing test devices that would be more user-friendly. 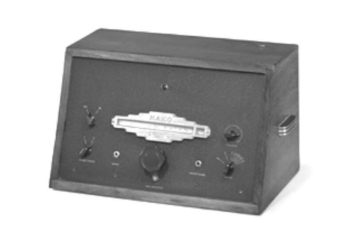 The company name was later shortened to MAICO which became known for intuitive “audiometers”, a term that Watson coined. In 1991 the audiological division of Robert Bosch GmbH, located in Berlin, Germany merged with MAICO, Minneapolis. From that time, MAICO has had headquarters in both locations. 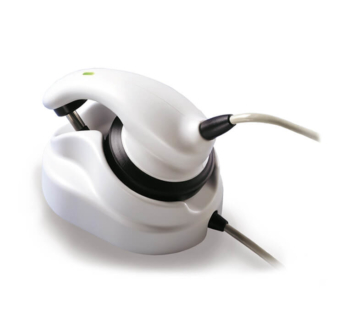 In 1995, MAICO became part of the William Demant Holding A/S – one of the largest hearing healthcare instrument providers in the world. 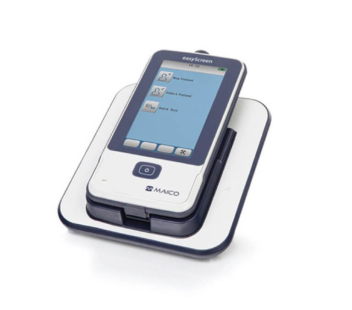 Thus, MAICO has access to a large database of knowledge around hearing testing and has become even better in developing easy-to-use screening devices. MAICO Diagnostics GmbH is certified to the requirements of ISO 13485: 2016. The CE-mark indicates that MAICO Diagnostics meets the requirements of Annex II of the Medical Device Directive 93/42/EEC. Approval is made by TÜV identification No. 0123.